This presentation will provide a comprehensive review of driving challenges, strategies, examples of existing runtime systems, and experiences. One important consideration is the possible future role of advances in computer architecture to accelerate the likely mechanisms embodied within typical runtimes. The talk will conclude with suggestions of future paths and work to advance this possible strategy. Invited speaker Dr. Thomas Sterling holds the position of Professor of Informatics and Computing at the Indiana University (IU) School of Informatics and Computing Department of Intelligent Systems Engineering (ISE) as well as serves as Director of the IU Center for Research in Extreme Scale Technologies (CREST). In 1997, he was a Gordon Bell Prize recipient. 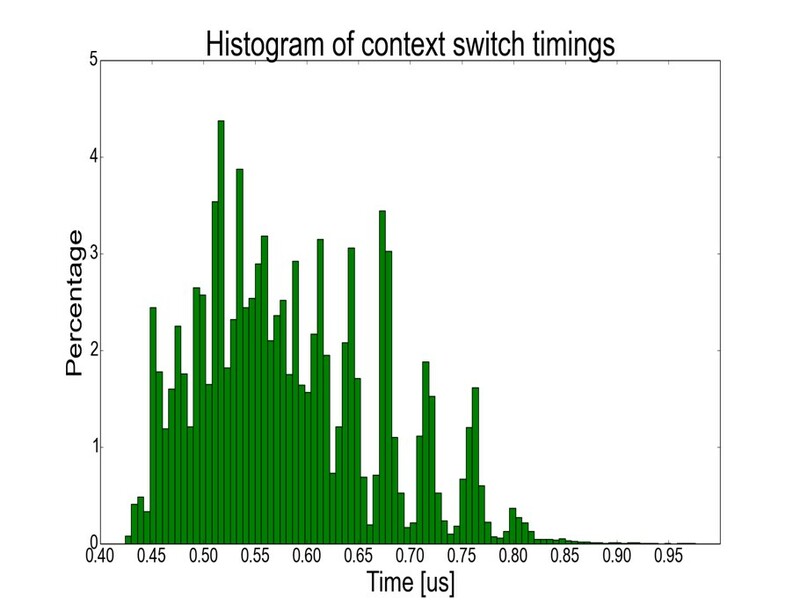 Image caption: Time required to perform a context switch between lightweight threads. Chart courtesy of Daniel Kogler, IU. Increasing sophistication of application program domains combined with expanding scale and complexity of HPC system structures is driving innovation in computing to address sources of performance degradation. Efficiency and scalability of parallel resource operation (now peaking at 10 million cores) demand that challenges of starvation, latency, overhead, and contention in supercomputing be resolved. Asynchronous multi-tasking through runtime system software is of increasing interest and is being explored within the US and internationally to complement more conventional approaches in pursuit of effective exascale computing. In principle, runtime systems may exploit compute time information about application state and system usage for dynamic and adaptive introspective control of resource management and task scheduling. The intent is to achieve superior resource utilization, load balancing, data migration and affinity, and parallelism discovery. Other motivations include reducing programmer burden and portability across systems of different types, scales, and generations. However, advanced scalable runtime systems are experimental and impose additional problems such as increased system software complexity, added overheads, and uncertainty about programming interfaces, support for legacy codes, and workload interoperability. Further, early results suggest that not all applications will benefit significantly through runtime support, with instances of performance reduction observed. Dr. Thomas Sterling holds the position of Professor of Informatics and Computing at the Indiana University (IU) School of Informatics and Computing Department of Intelligent Systems Engineering (ISE) as well as serves as Director of the IU Center for Research in Extreme Scale Technologies (CREST). Since receiving his Ph.D from MIT in 1984 as a Hertz Fellow, Dr. Sterling has engaged in applied research in parallel computing system structures, semantics, and operation in industry, government labs, and academia. He is best known as the “father of Beowulf” for his pioneering research in commodity/Linux cluster computing for which he shared the Gordon Bell Prize in 1997. 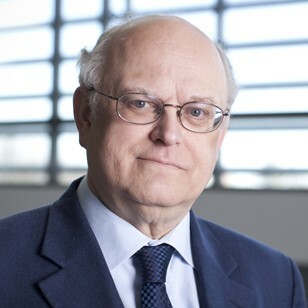 Dr. Sterling led the HTMT Project sponsored by multiple agencies to explore advanced technologies and their implication for high-end computer system architectures. Other research projects in which he contributed included the DARPA DIVA PIM architecture project with USC-ISI, the DARPA HPCS program sponsored Cray-led Cascade Petaflops architecture, and the Gilgamesh high-density computing project at NASA JPL. He is currently involved in research associated with the innovative ParalleX execution model for extreme scale computing to establish the foundation principles guiding the development of future generation Exascale computing systems. ParalleX is currently the conceptual centerpiece of the XPRESS project as part of the DOE X-stack program and has been demonstrated via the proof-of-concept HPX-5 runtime system software. Dr. Sterling is the co-author of six books and holds six patents. He was the recipient of the 2013 Vanguard Award and is a Fellow of the AAAS. Even for applications that are regular and suitable for bsp by themselves, variability and failures in the machine itself may require the services of adaptive runtime.